Dar Zaman Client Comments, Reviews and Testimonials. 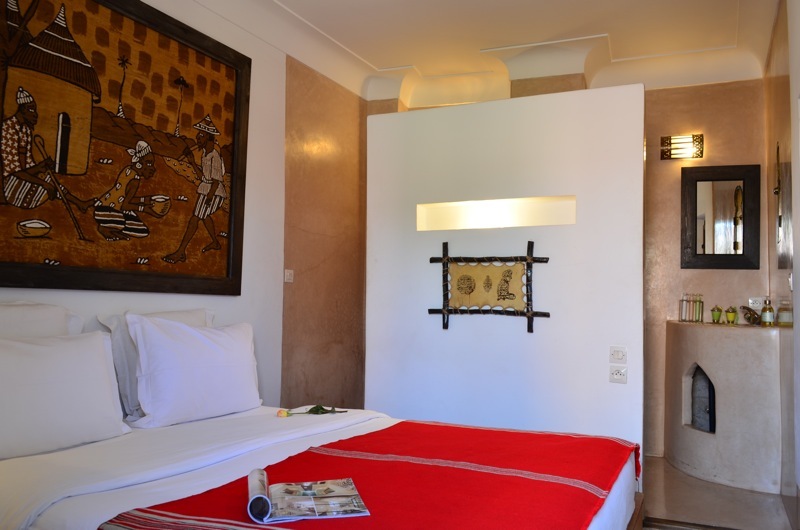 Book Dar Zaman Today with Hip Morocco - Holiday Accommodation in Marrakech, Morocco. 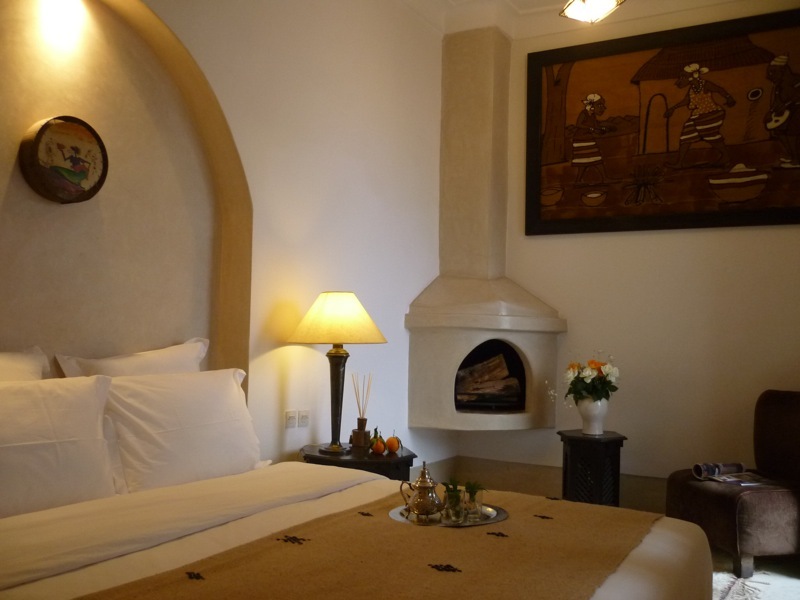 "A beautiful, intimate hideaway in the quieter reaches of the historical northern medina"
A beautiful, intimate hideaway in the quieter reaches of the historical northern medina, the warm service at Dar Zaman makes for an unforgettable stay. 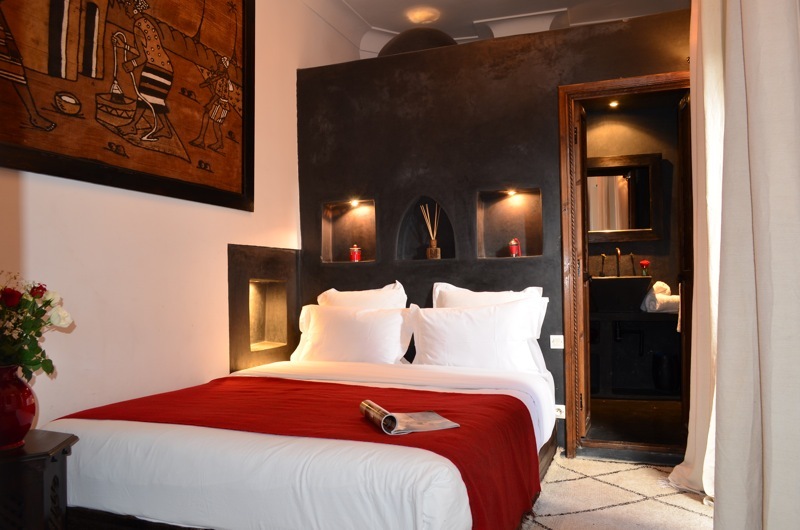 Ideally located within easy walking distance of all of Marrakech’s main attractions including the famous Jemaa el Fna square, Dar Zaman offers four double en-suite air-conditioned rooms. 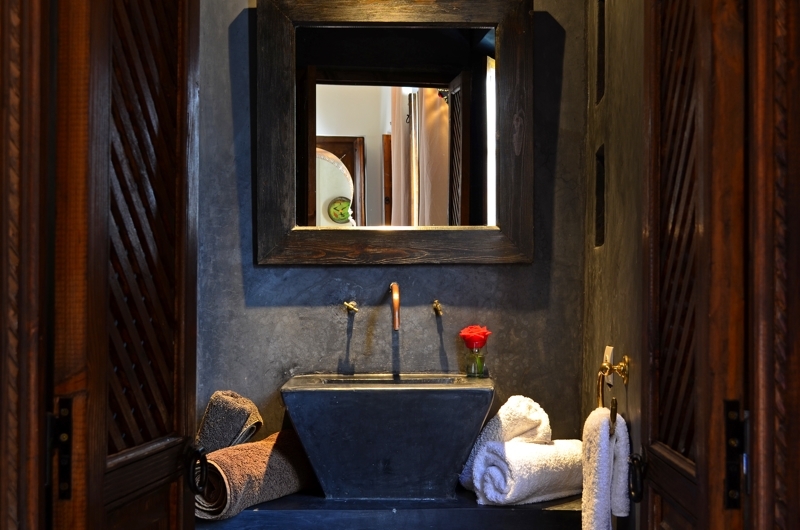 Each room is uniquely designed and comes equipped with a hairdryer, a digital safe, complimentary designer toiletries, fine cotton linens and soft, fluffy towels as standard. Opening onto the interior courtyard are two sitting rooms with open fireplaces, the perfect setting for a delicious home-cooked dinner on a winter evening. 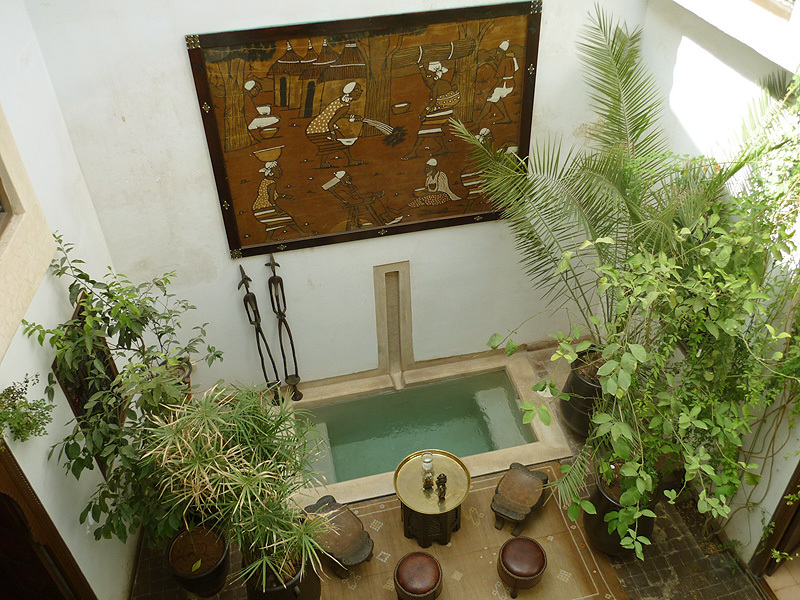 For the hot summer months, the dipping pool in the courtyard provides a refreshingly cool respite from the hot Moroccan sun. 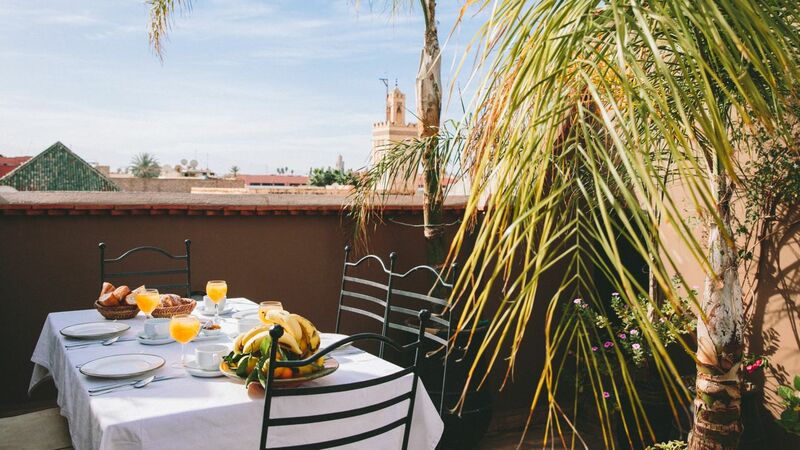 Dar Zaman’s roof terrace boasts stunning views over the Marrakech medina rooftops, from which you can catch a glimpse of the Koutoubia minaret and, on clear days, the stunning snow-capped Atlas Mountains. 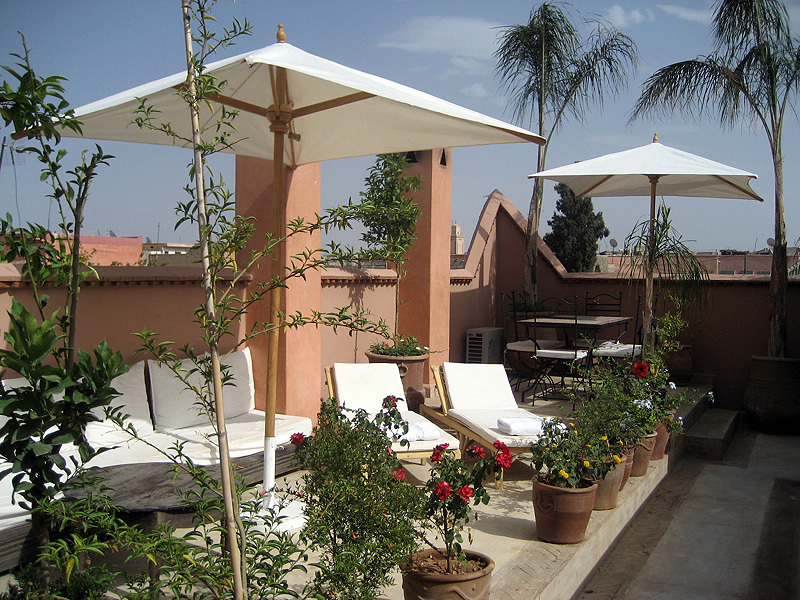 It is the perfect spot to catching the hot Moroccan sun whilst relaxing with a book and drinking a traditional mint tea. Every morning a sumptuous Moroccan breakfast is served either on the sunny terrace or downstairs by the fire depending on the season. Expect a wonderful selection of fresh bread, croissants and pastries from the bakery at the end of the street; crepes with jam; homemade yoghurt; eggs; fresh fruit; freshly squeezed orange juice, and tea and coffee. Delicious lunches and dinners can also be made to order. Base prices are in Euro: Sterling, USD and Moroccan dirham rates will vary by exchange rate. Breakfast: Every morning a sumptuous Moroccan breakfast is served either on the sunny terrace or downstairs by the fire depending on the season. Expect a wonderful selection of fresh bread, croissants and pastries from the bakery at the end of the street; crepes with jam; homemade yoghurt; eggs; fresh fruit; freshly squeezed orange juice, and tea and coffee. Lunch and Dinner: Delicious lunches and dinners can also be made to order. Cuisine: Traditional Moroccan food perfect for a lunchtime snack, all profits made by this cafe goes to a good cause. Ait Ben Haddou is a world heritage site that has been the backdrop to a remarkable 16 feature films including Gladiator, The Man Who Would Be King and Marco Polo. The driving time is normally four to five hours covering 190 miles. Your party will have exclusive use of the vehicle and can vary the itinerary as you wish, the driver can recommend viewing points and stops along the way. 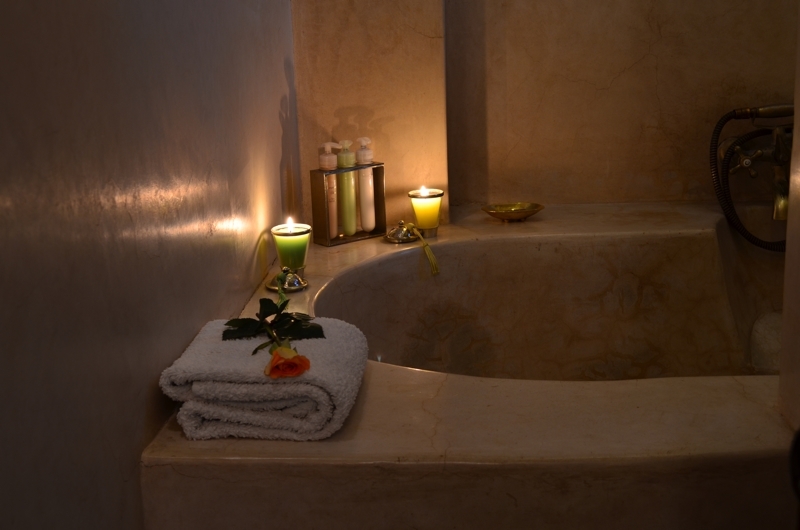 "We stayed at Dar Zaman for just one night but it was a great place to relax after a busy couple of days travelling around. 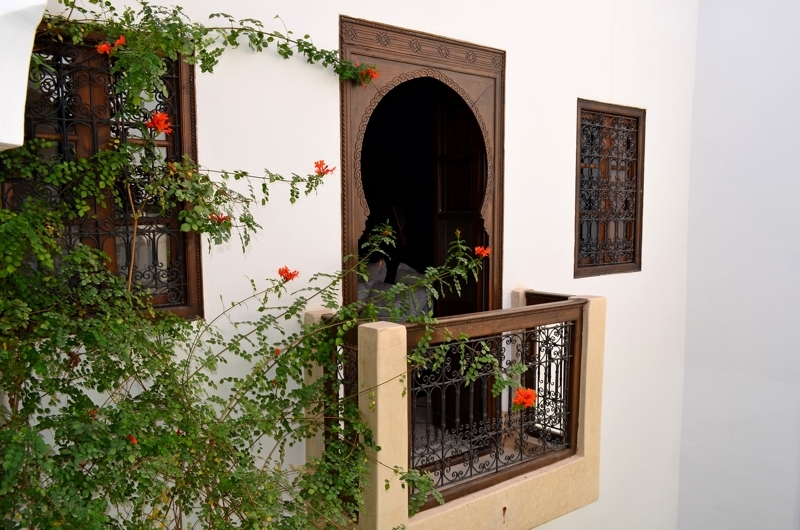 It is located right in the middle of the Medina and the staff are very friendly and helpful!" 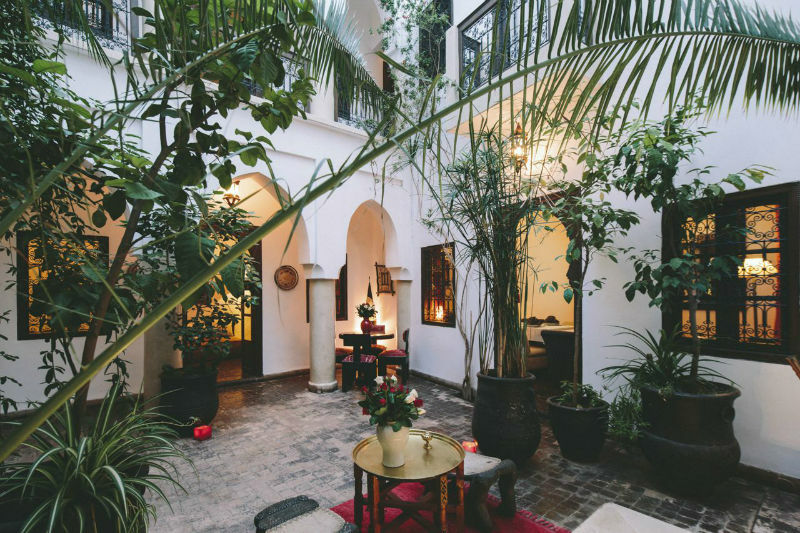 "The riad is beautiful and its location in the medina, but on the periphery, allows for all the wonders of being in the old city, but yet easy to find (once you've been there the first time) and more peaceful that some of the other areas near larger squares and traffic. Peter is a great host, and makes a very good introduction to the riad and the medina upon arrival. Hassan and the house team make you feel at home...take the cooking class offered, its great fun and gives you fabulous recipes to take home and keep making the wonderful Moroccan food." "We cannot complement Peter, Hassan and the Team more for the way they looked after us including sorting out travel to and from the airport, organising day trips and very helpful directions in what is not the easiest city to find you around. 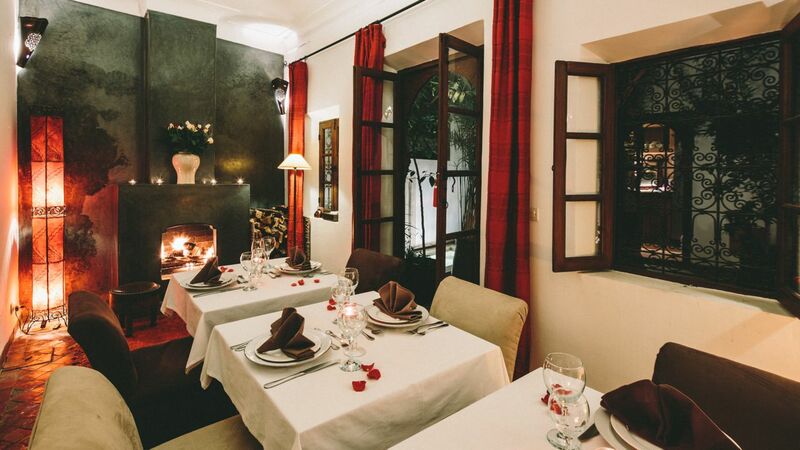 We dined at the Riad on some nights and the standard of cooking is excellent. On each occasion we gave them free range to cook courses of their choice and were not disappointed. We couldn’t recommend it more highly." "Dar Zaman was exactly what we needed. 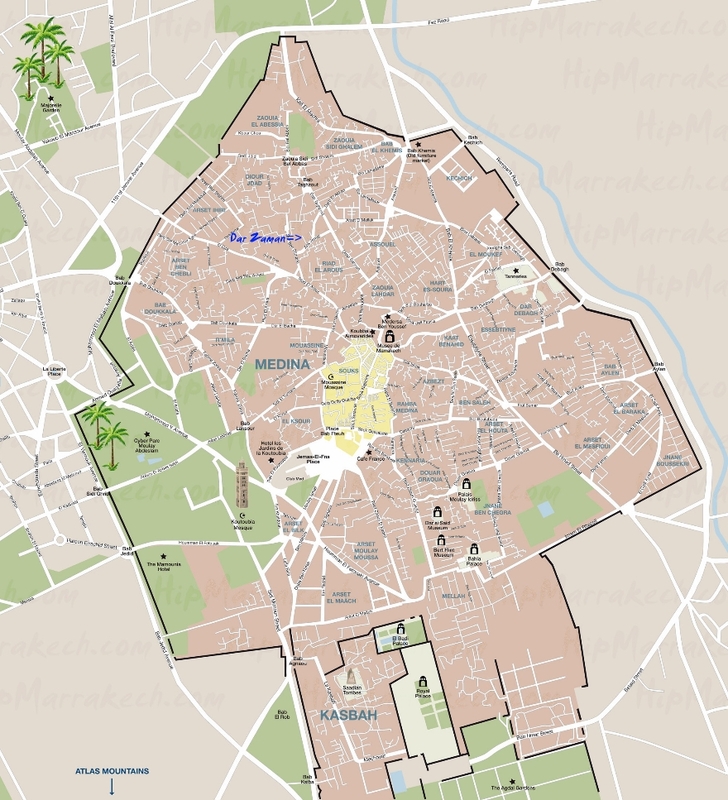 It's very centrally located and became our retreat and safe haven amidst the crazy medina. 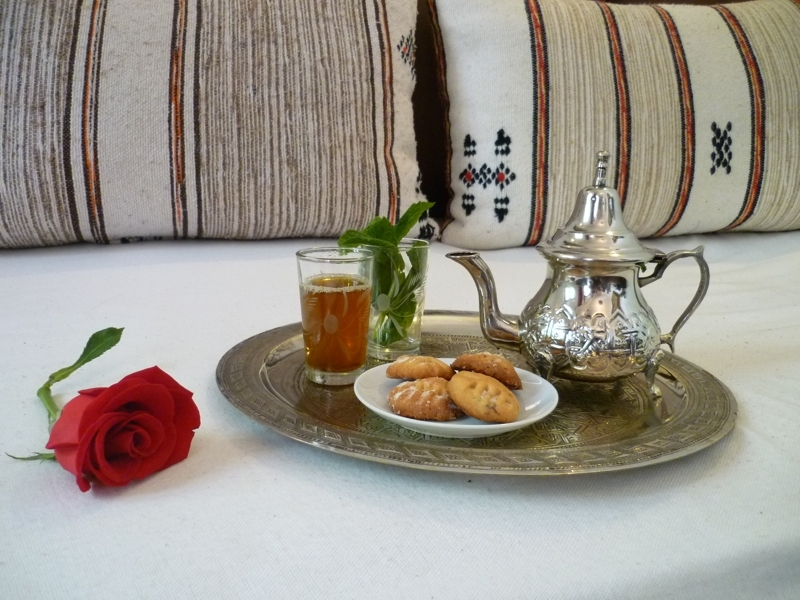 When we arrived we were greeted with mint tea and a full briefing on how to navigate the souks and the old town by Hassan. It's no easy task, but he walked us through landmarks to keep an eye out for and helped us prioritise what to see and do based on our interests. It felt like he definitely went above and beyond to make us feel welcome and at ease." 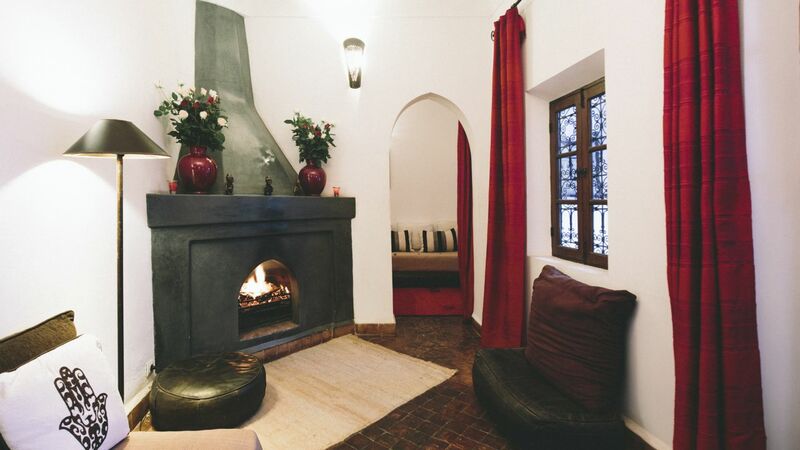 "Dar Zaman is a wonderful little riad in the heart of Marrakech. Peter and Hassan were wonderful hosts and nothing was too much trouble. The riad decor was very tasteful, the food was amazing, the roof terrace was a lovely place to relax after a full day of sightseeing. We would recommend this amazing place to anyone." 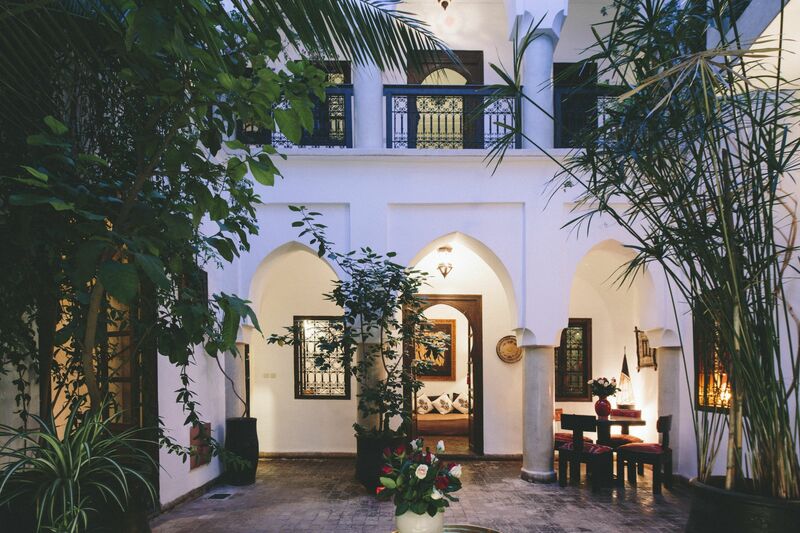 Dar Zaman is a beautiful, intimate hideaway in the quieter reaches of the historical northern medina, ideally located within easy walking distance of all of Marrakech’s main attractions including the famous Jemaa el Fna square. This first floor double room is fitted with a queen-size bed and a private balcony overlooking the courtyard. It has an en-suite bathroom with shower, reversible air-conditioning, and digital safe. Room features: Hairdryer, a digital safe for personal effects, complimentary designer toiletries, fine cotton linens and towels. This second floor double room has a queen-size bed and opens out onto the roof terrace. It has an en-suite bathroom with shower, reversible air-conditioning and digital safe. This first floor double room overlooks the courtyard below. It has an en-suite shower room, reversible air-conditioning, digital safe and fireplace. Room features: Fireplace, hairdryer, a digital safe for personal effects, complimentary designer toiletries, fine cotton linens and towels. 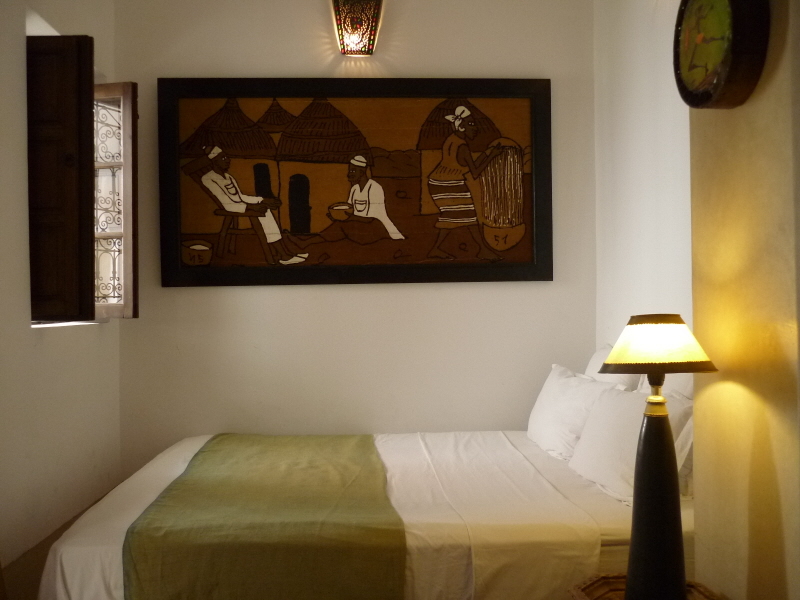 This first floor double room has a queen-size bed and looks out onto the courtyard. It has an en-suite bathroom with bath and shower, reversible air-conditioning, and digital safe. 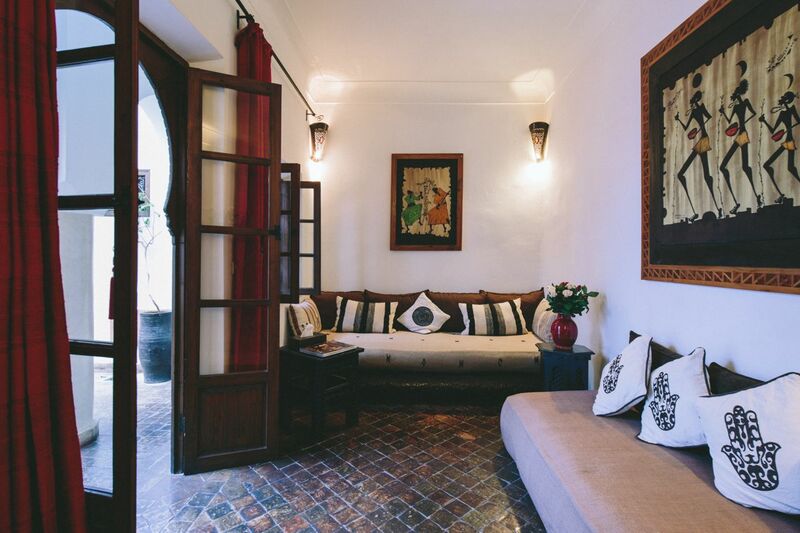 Dar Zaman is available for private rental, with use of the whole riad and all four double bedrooms, accommodating up to eight guests. 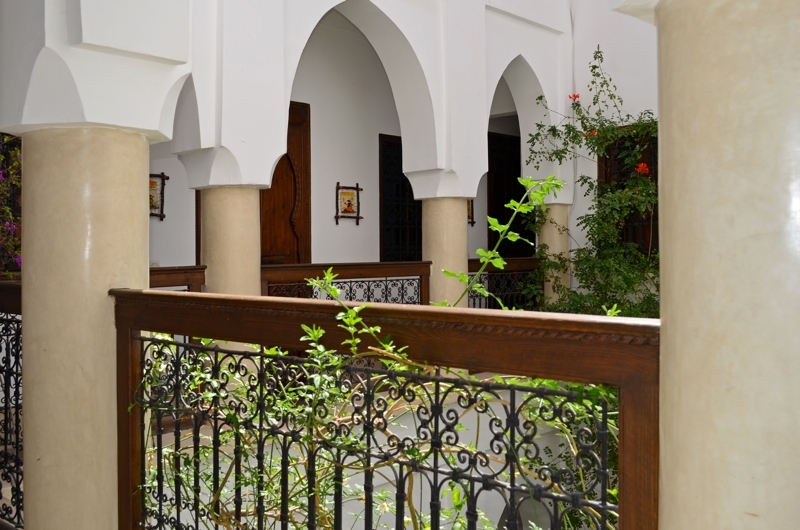 The base rate price at Dar Zaman is in pounds, euros, or Moroccan dirhams and exchange rates are approximate.